To encourage the faculty to take up quality research. To create a Research Fund for Minor and Major Research Projects. 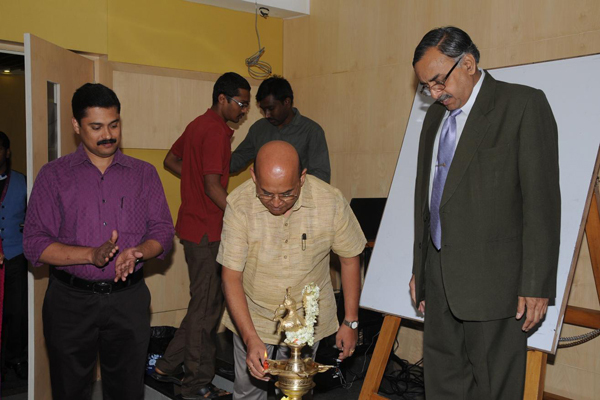 To arrange training programmes for students and faculty on research methodology and research skill development. 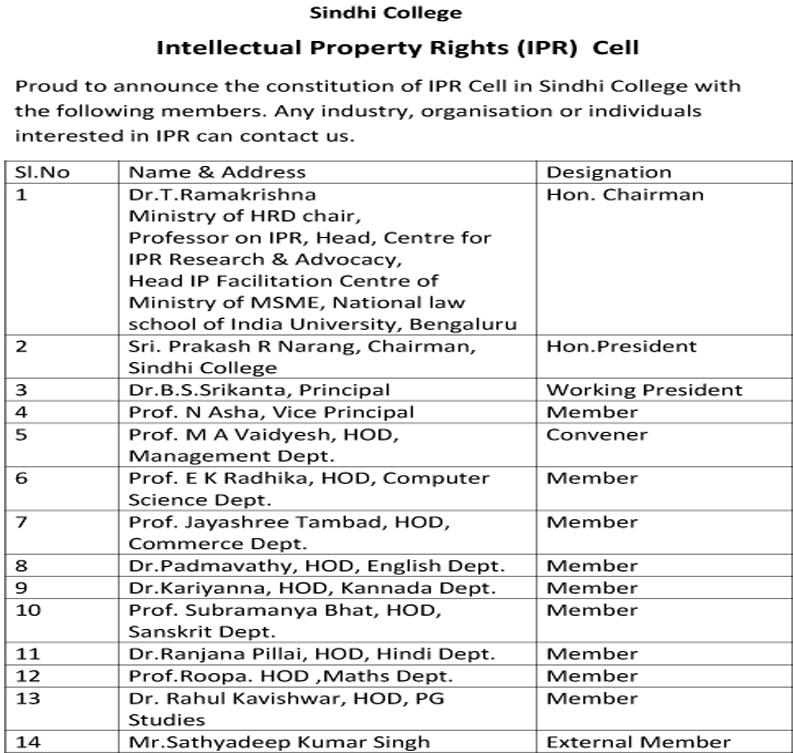 To organize conferences / seminars / workshops / FDPs by the respective departments in collaboration with the Research Centre. To publish in-house journal - a collection of research papers and well written review articles (Proposal for obtaining ISSN number submitted). To provide OOD facility and reimburse registration fee for teachers attending Conferences / Workshops / Seminars and involved in the data collection, subject to the condition that each teacher can attend 2 Seminars / Conferences in a Semester. 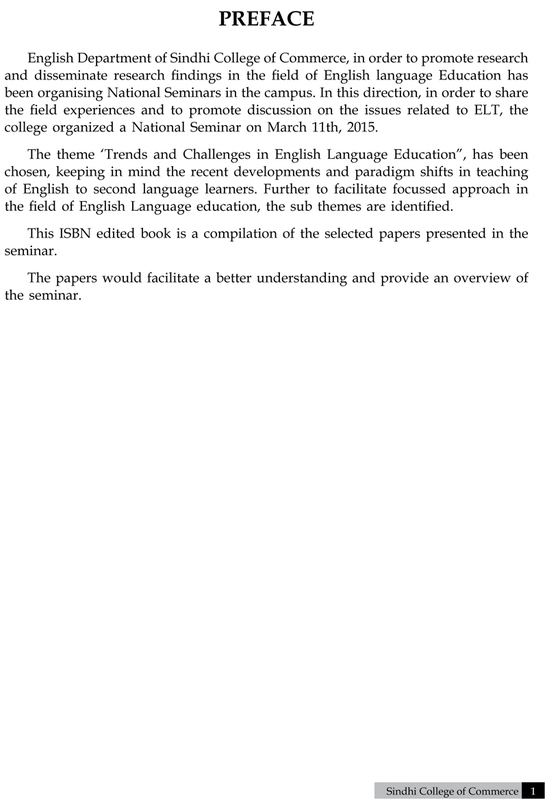 To provide TA & DA to faculty members who are presenting papers in Seminars / Conferences etc. Duration of the minor research projects shall be one year and major research projects 2 years from the date of sanction of grant. To provide monetary incentives for academic achievements of staff based on their publication and acceptance in peer reviewed journals of repute. To acquire discipline wise research methodology books to help literature survey, develop analytical skills. To subscribe to more number of e-journals. To follow up with the UGC for 2f & 12B recognition. To send proposal to NAAC for conducting National level Seminar. To send research proposal to UGC after 2f & 12B recognition. Management has sanctioned Research Fund of Rs.10 Lakhs for research by Faculty and Students. 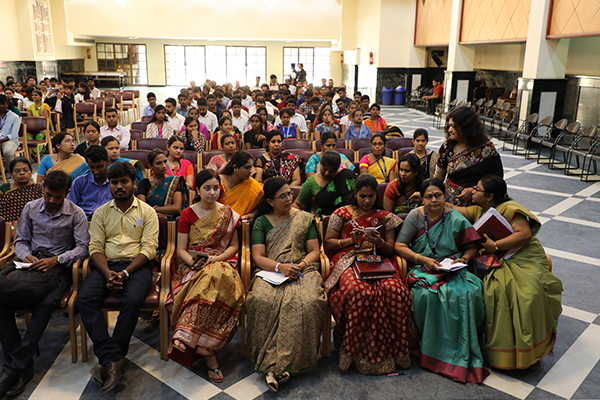 The programme was held on 10th September 2016 in the College Seminar hall. 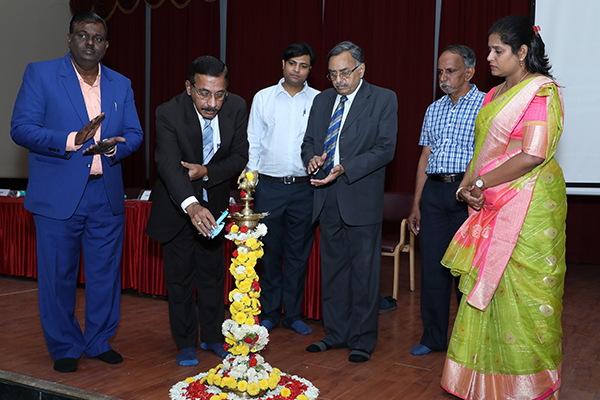 The programme began at 10 am with the lighting of the lamp by the dignitaries and this was followed by the invocation song by Ms.Trupthi Hegde of III Sem B.Com. 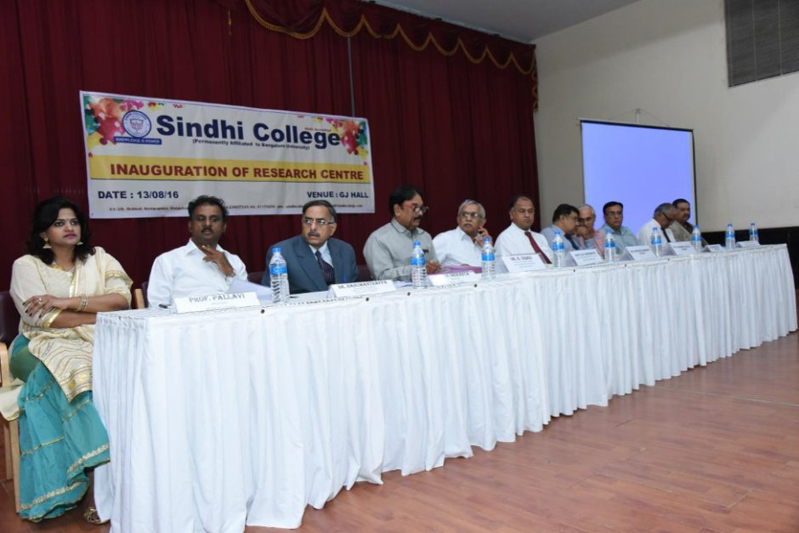 Dr.Sandeep Shastri Vice Chancellor, Jain University, Dr. B.S.Srikanta, Principal, Prof.Pallavi, Principal, Sindhi P U College, Dr.S. 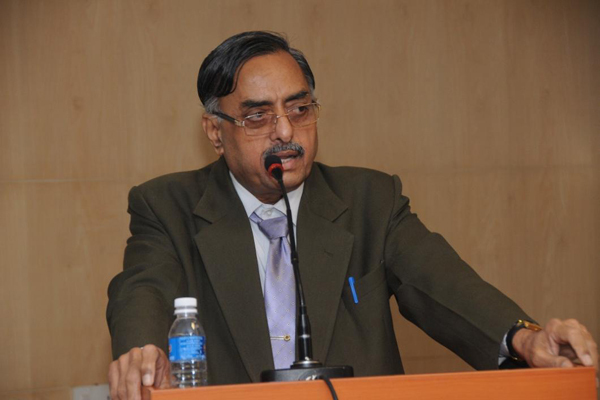 Anil Kumar, Vice Principal, Prof.N. 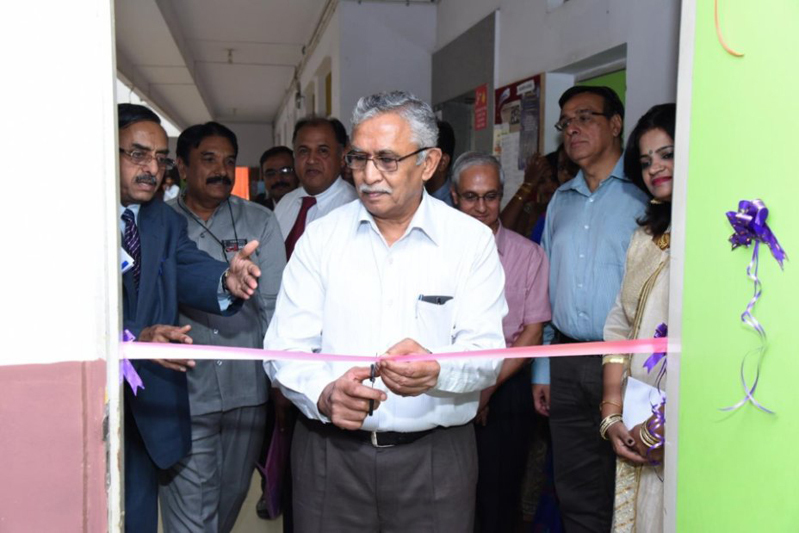 Asha, Additional Vice Principal, Prof. Sreejith, Vice Principal, Sindhi P U College, Prof.Kanchana Satheesh, Vice Principal, Sindhi P U College and all the Staff members of Degree and P U College were present on the occasion. Prof. Naveen, Asst. 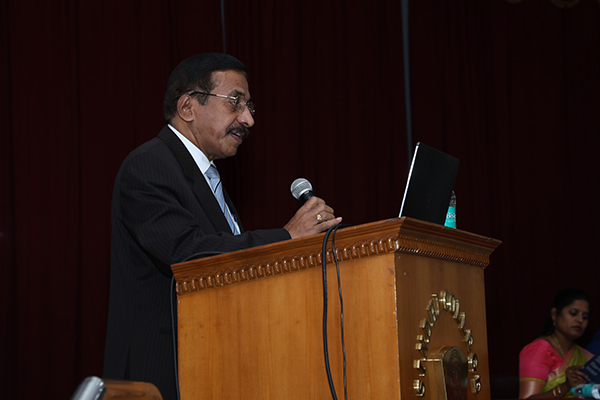 Prof, Department of Commerce, introduced the Chief Guest to the audience. 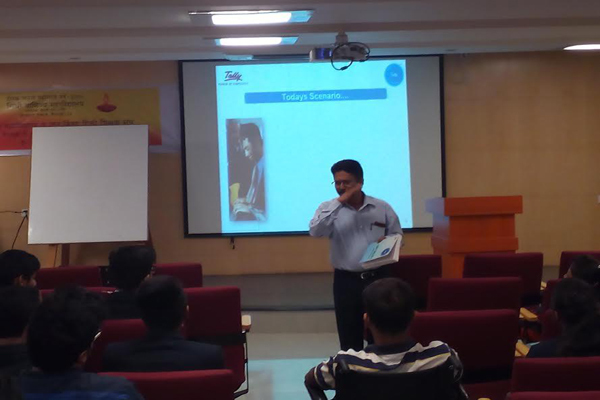 Then Dr. Sandeep Shastri spoke about "Effective Communication Skills in the Class rooms". He guided the faculty members how to create and maintain a good communication climate in the class room. 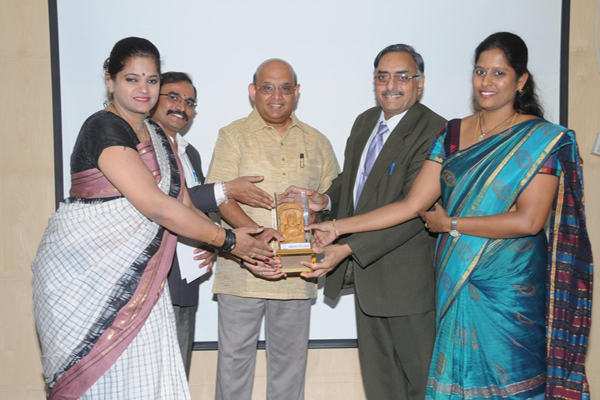 Then Prof.Thirumala, Asst. 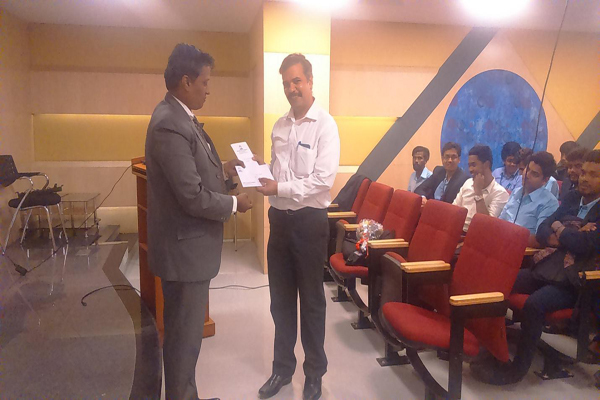 Prof, Department of Commerce, thanked the chief guest for his wonderful speech and amemento was handed over to him. 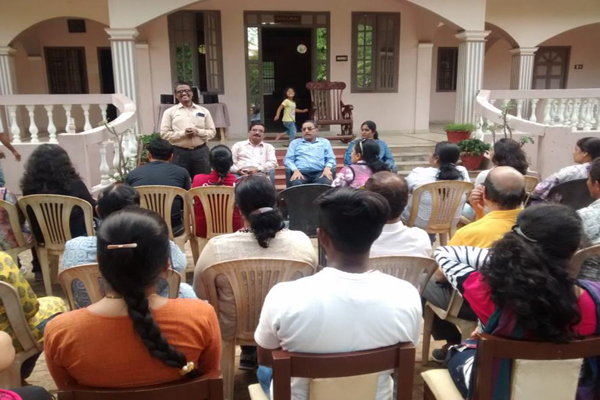 Then Dr.B.S.Srikanta spoke about "The Class room Management". He guided the faculties, how to manage the class room by being a good Teacher. The first session got over by 1.30 pm. The second session started at 2.30 pm. 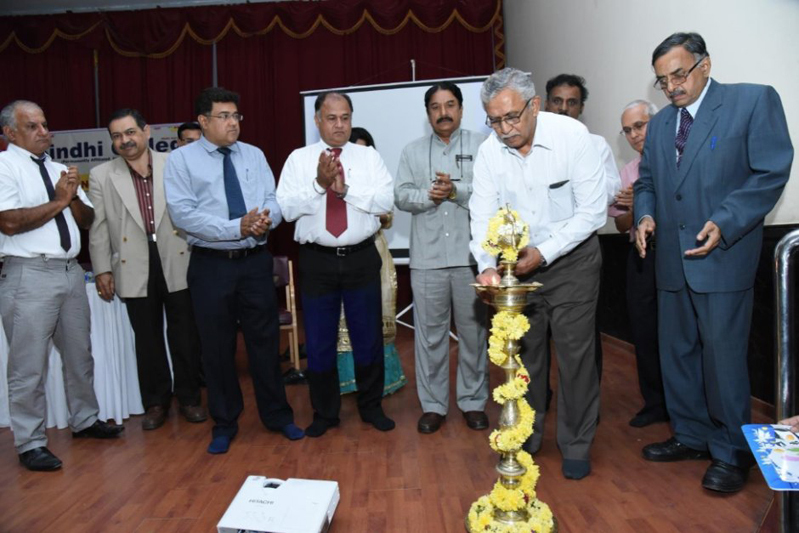 Dr. Shesha Murthy, Dean, Cadambi Group of Institutions, was the Chief Guest. He spoke about the topic "Teacher as a Leader". In his speech he analyzed the role of a Teacher as a leader. 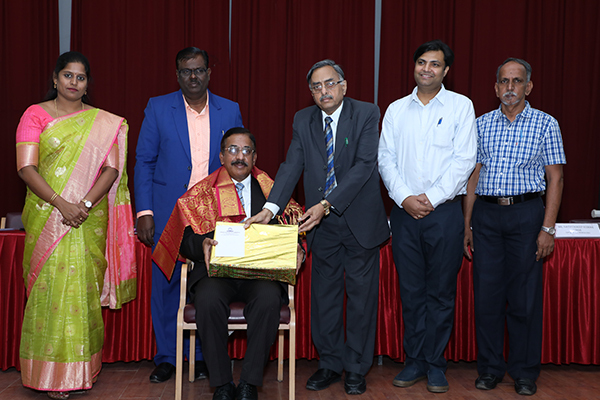 The programme was concluded with the formal vote of thanks by Prof.Thirumala, Asst. Prof, Department of Commerce, and with the singing of National Anthem. Yelagiri is a hill station in Vellore district of Tamil Nadu surrounded by orchards, rose gardens & green valleys. 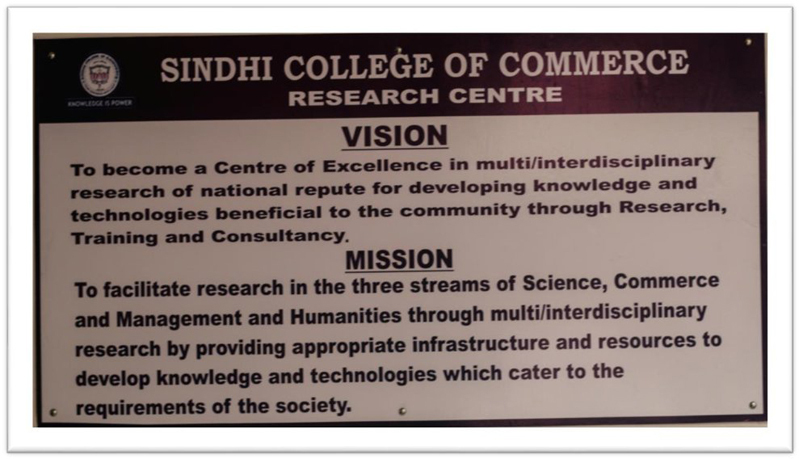 The staff of Sindhi College of Commerce & executives were all excited to venture on an adventure to this scenic place. 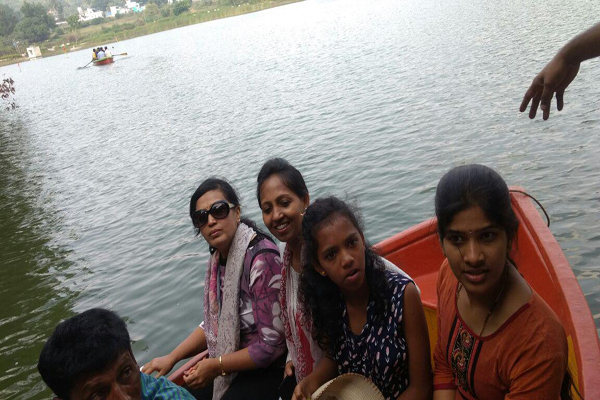 The journey began from the college at 8 a.m.and reached the uphill at 12 noon and halted at Yelagiri Kings Resort. 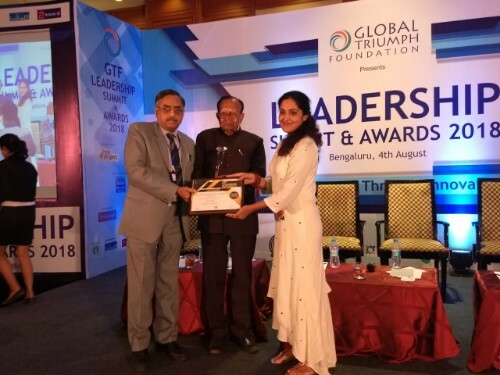 Our Principal Dr. B.S.Srikanta gave a formal lecture on importance of team work, building good interpersonal relationship, effective communication, enhancing creativity at the work place, goal setting, crisis management, time management etc. The day also continued with singing antakshari, shuttle badminton & chess. With the evening snacks, the journey towards Bangalore began. The bus reached Bangalore at about 10.30 p.m. & the staff disbursed with lot of exhaustion & sweet memories of the trip. 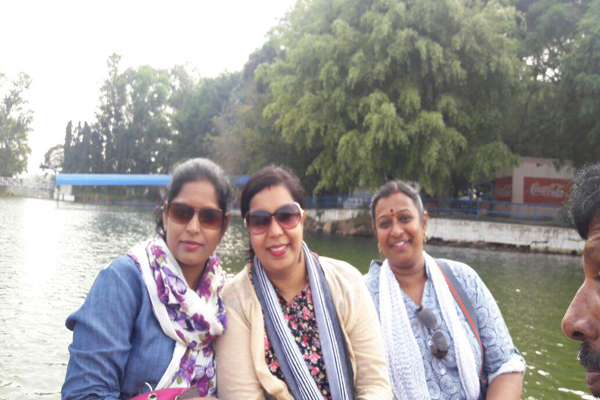 Overall, the day was filled with lot of fun & frolic along with a different learning experience outside the campus. 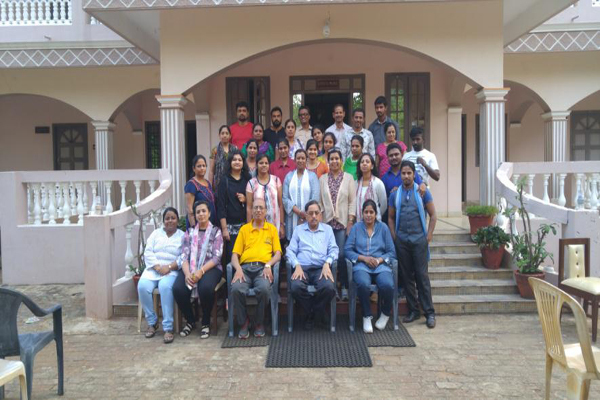 Our Principal Dr.B.S.Srikanta conducted an in house workshop on Research Methodology on 27th December 2016 for the UG & PG faculty of the College. 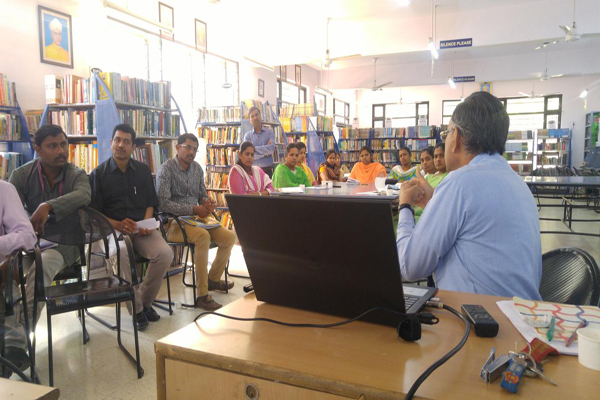 He started the session briefly explaining about the importance of research as a continuous learning process along with teaching. He also gave the details of the various types of research. He continued the session explaining the various steps in Research Methodology like selection of the research problem, literature survey, setting objectives of the research, data collection & its interpretation, preparation of tables & charts, statistical tools used to analyse the research problem, writing the findings & conclusion finally how to write a report covering the vital aspects of the research. Overall the session was very useful, easy to understand, comprehensive covering the very intricate aspects of Research Methodology. The session was interactive & interesting. He also insisted on Staff members to submit research proposals & also present papers. 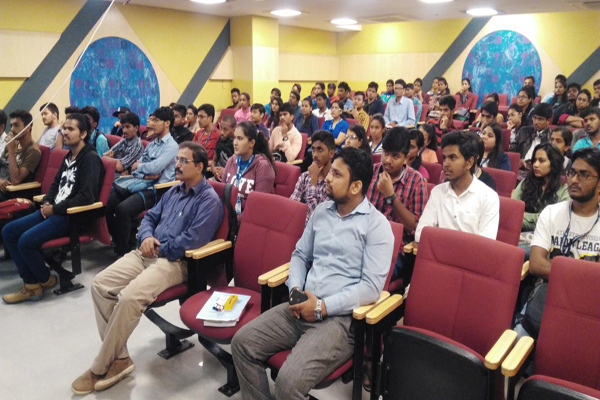 The Department of Management had organised a career guidance seminar to the students of BBA & BCOM on 12th August 2017 in association with the Triumphant Institute of Management Education (T.I.M.E) leading career guidance & Education provider in Bangalore. 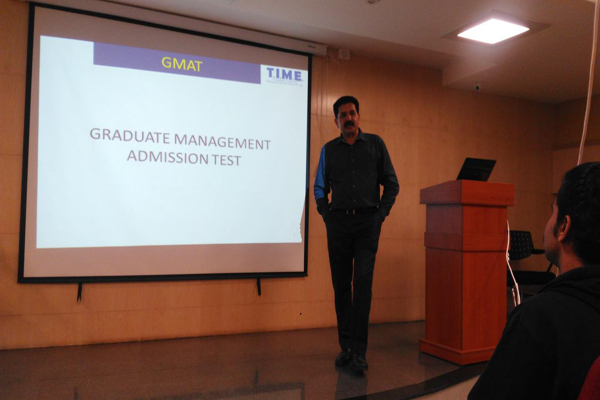 Mr. Philip Thomas, a Professor from the institute as a resource person explained covering the major aspects of GMAT/GRE scores, its preparation its advantages over CAT, best B-Schools in India, career avenues/placements, coaching provided by the institute, fee structure etc. 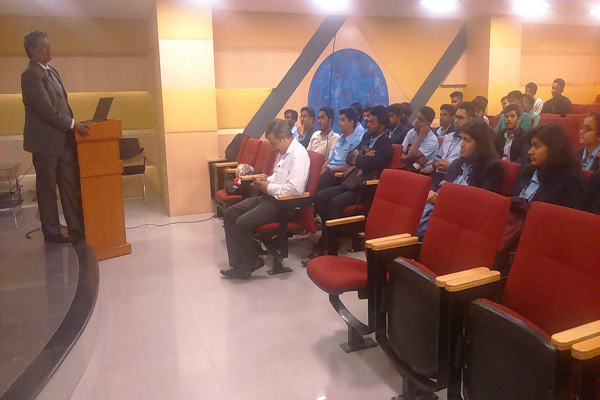 The seminar was really useful & informative to the students in getting a deeper insight of the topic discussed. 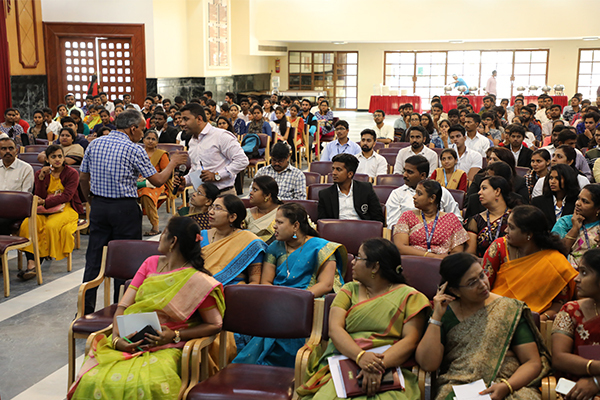 The seminar concluded with the question & answer session where students clarified their doubts. 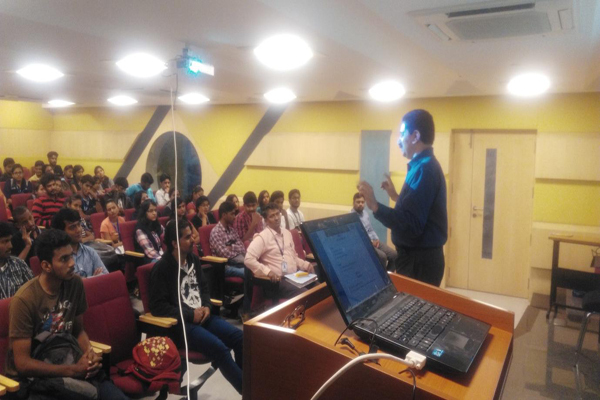 The Department of Management had organized a Guest Lecture on the topic "Goods and Service Tax" on 23rd October 2017 at 1 pm in the College Seminar Hall. 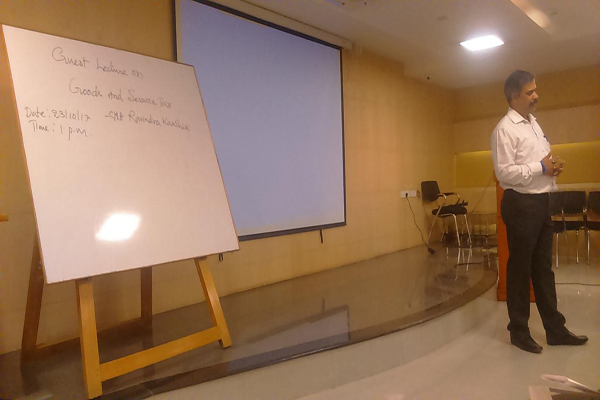 CMA Ravindra Kaushik, Secretary-ICWAI Bangalore Chapter was the Guest Speaker. 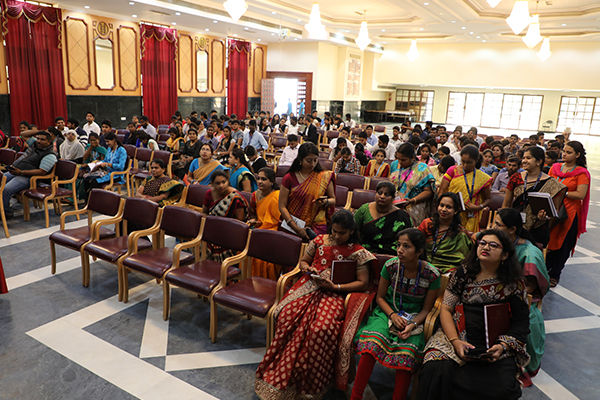 The HOD, Staff and the Students of all the BBA Classes attended the same. 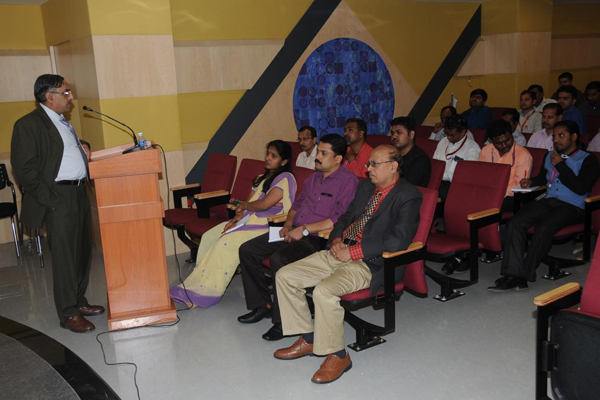 College MBA Dean CMA Gopinath welcomed and introduced him to the audience. 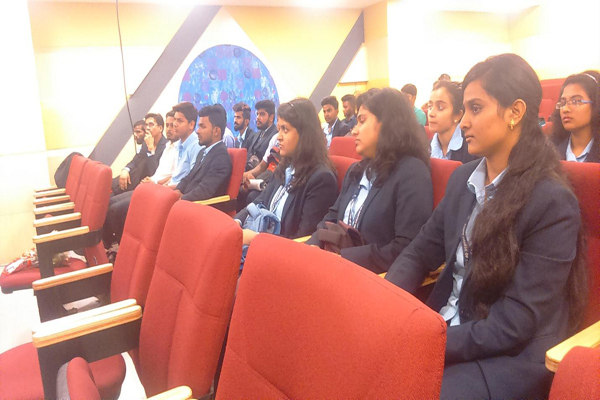 Mr. Kaushik gave a detailed Lecture starting from the Direct and Indirect Taxes till the implications of GST on the Indian Economy. He explained the Tax Policy Structure prevailed in India post Independence, concepts of Liberalization, Privatization and Globalization (LPG),need and emergence of GST concept in early 1990’s,preperations made for the implementation of the same ,its working pattern, GST impact on the Bank transactions, Indian Business, myths about GST etc. He also gave awareness regarding how some of the Business Corporations are cheating the Customers misusing GST, how to identify the same, use of social medias in spreading the awareness etc. Lastly, he gave very important information that GST works online and there won’t be any manual intervention because of which no Tax Payer in India can escape from the payment of Tax to the Government. The Speaker gave a deeper insight of the concept of GST in a short duration of time which was very informative and interactive. 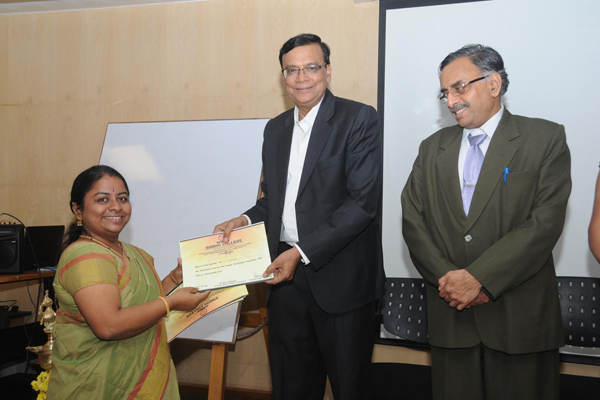 The programme was concluded by Prof Vaidyesh, HOD of the Management Department t by thanking the Guest. 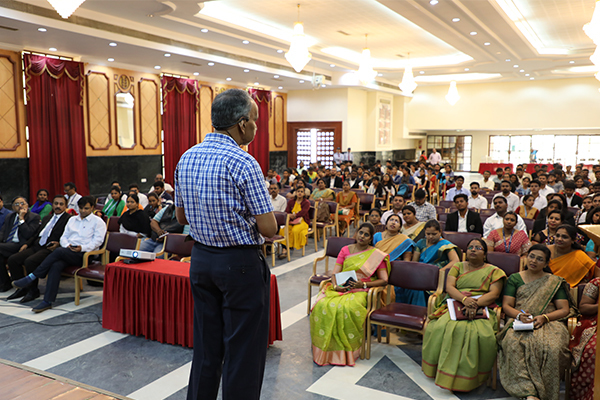 Our Principal Dr.B.S.Srikanta conducted an in house workshop for the College faculty both UG & PG on 25th July & 27th October 2016 on NAAC criteria. On day 1, he started the workshop giving basic information about the 7 criteria, 32 key aspects & 193 micro level indicators. 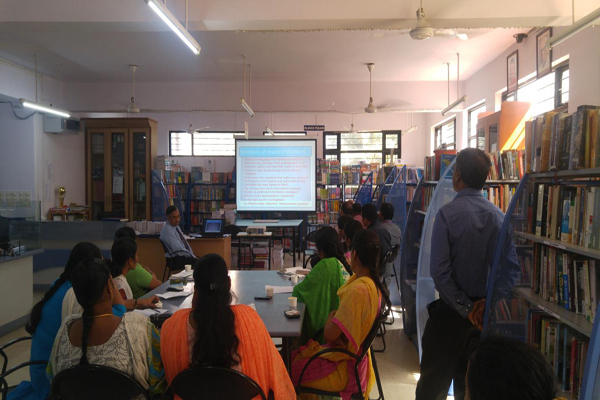 He explained in detail starting with the first criterion- Curricular Aspects& the second criterion- Teaching & Learning Evaluation with its parameters. On the second day, he continued explaining the second criterion and covered the third criterion-Research, Consultancy & Extension, fourth criterion-Infrastructure & Learning, fifth criterion-Student Support & Progression, sixth criterion-Governance, Leadership & Management & the seventh criterion-Innovations & Best Practices along with the parameters. Overall, both the sessions were very interesting, informative &useful. 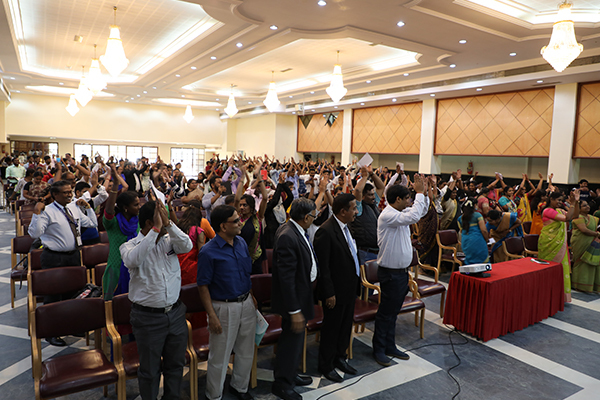 There was an interactive session at the end of the day for clarifying doubts. 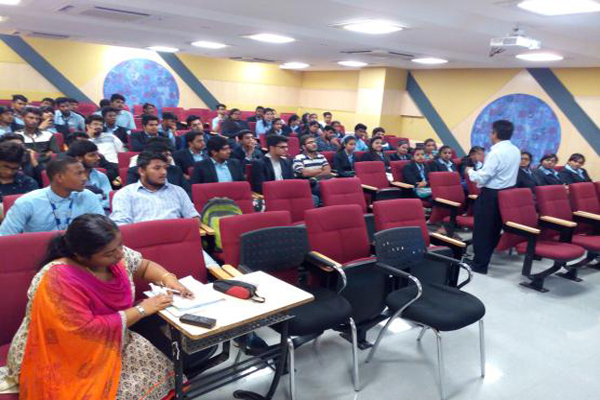 Tally Solutions Pvt Ltd conducted an Orientation Programme to the BBA & BCOM Students of our College on 11th August 2016. 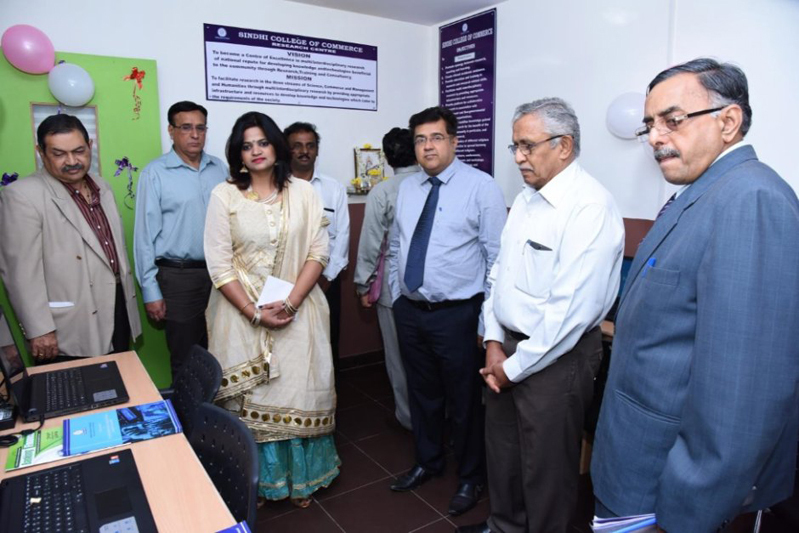 Mr. Jose, Regional Manager accompanied by Mr.Ravishankar, Manager of the Company gave insights of the various courses offered by the Company relating to Tally. Mr. Jose explained in detail right from the origin of Tally Software, its growth and the importance of its application in some of the reputed companies like Infosys, Toyota etc. specifically relating to the areas of Accounting & Finance. He further explained the course contents, duration of the course, course certification etc. He also gave a brief explanation of the GST & told that Tally Solutions is the first company in India to implement the same in their Accounting software and its advantages compared to SAP course. 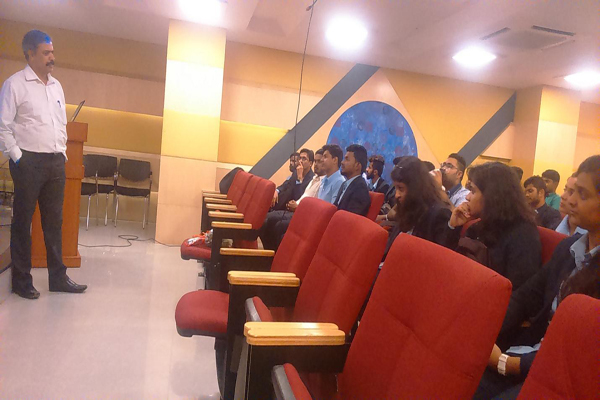 The session was interactive, very interesting and informative to the Students. 7 Dr.Rahul K Kavishwar M.Com, MBA, M.Phil, Ph.D Finance Finance & General Mgmt. A Research scholar should maintain personal honesty in learning, teaching and research. A Research scholar should have a mutual trust to encourage the free exchange of ideas and enable all to reach their highest potential. A research scholar should seek to ensure fairness in institutional standards, practices and procedures as well as fairness in interactions between members of the community. A Research scholar should maintain personal honesty in learning, A Research scholar should uphold high standards of conduct in learning, teaching and research by sharing responsibility for promoting academic integrity. 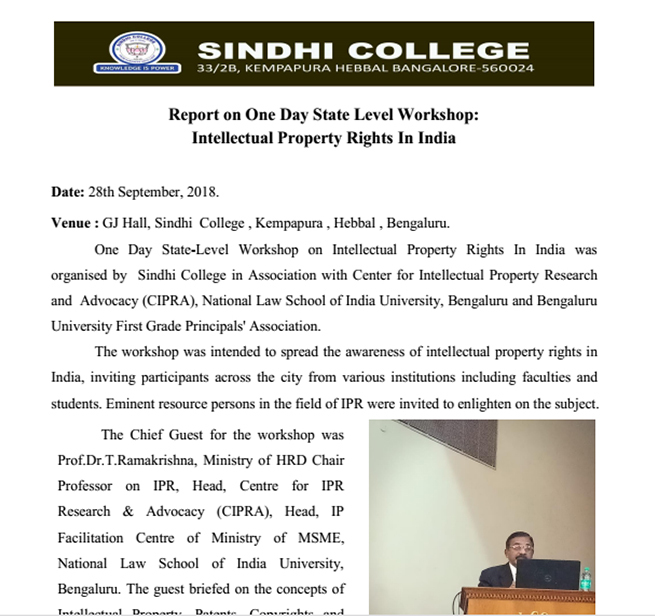 A Research scholar should observe valid legal norms related to the conduct and publication of research particularly in relation to copyright, the intellectual property rights of third parties, the terms and conditions regulating access to research resources and the laws of libel. A Research scholar should seek to make the results of its research as widely and as freely available as possible. Wrong doing in research Intentional ,fraudulent or negligence behaviour like fabrication, plagiarism deliberate misrepresentation and other practices of research scholar that seriously deviate from the code are considered as misconduct. A Research scholar should maintain confidentiality in research work. A Research scholars should maintain respect among the co-researchers considering issues related to data sharing. A Research scholar should be accountable to the terms and conditions of the research work. Access provided to free online plagiarism test.